I just finished my Patchwork Patterns 318 Bee block for Leila. She requested house blocks and is from the Netherlands so I did a little research on Dutch architecture. 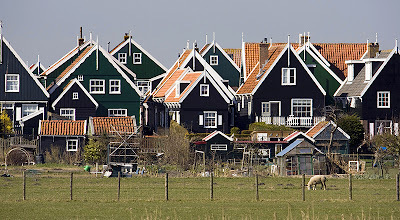 I came across some incredible houses in the Netherlands that live on the island of Marken. 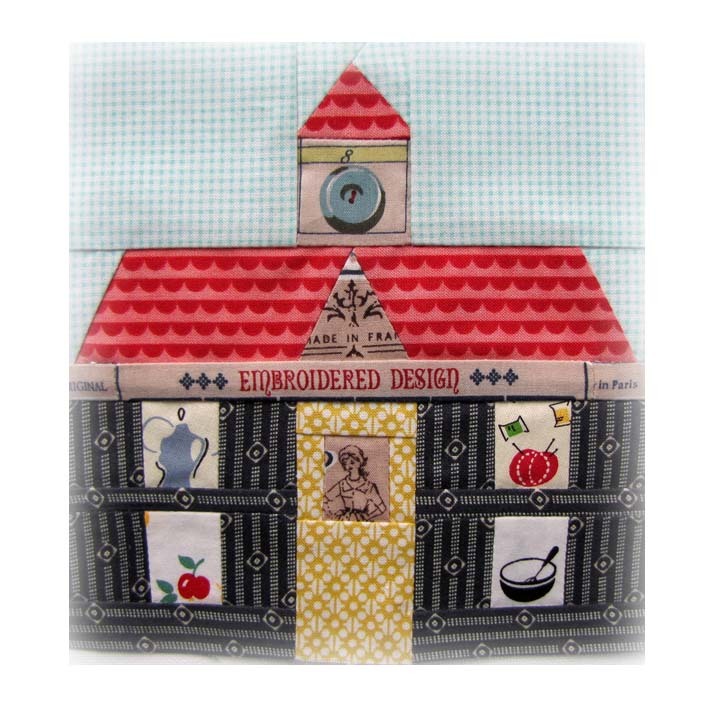 My little house is very loosely based on actual Marken houses. They don't have button towers and tend to have white trim. But they do have red roofs and are dark in color! Of course, in Leila's house there is lots of sewing going on! 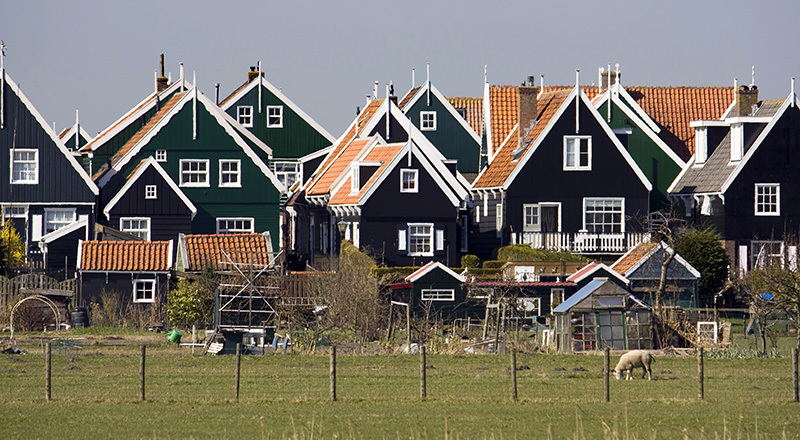 Image of Marken found here. It's just amazing, Charise! So nice of you to do the research! Lucky Leila! All the architects will including button towers for their future Marken!